Enbridge Inc. has announced the CAN$538 million acquisition of Tupper Main and Tupper West gas plants and associated pipelines in northeastern B.C., from the Canadian subsidiary of Murphy Oil Corporation (Murphy). "This acquisition fits extremely well with Enbridge's low risk value proposition and supports our key priority of extending and diversifying growth," said C. Gregory Harper, President of Gas Pipelines and Processing. "These assets, which are currently in operation, are underpinned by long-term contracts that generate highly predictable cash flows. They also enhance our natural gas footprint within the Montney, one of the most attractive gas plays in North America, and add gas processing services in proximity to our existing Sexsmith gathering system." The purchase price will initially be funded from available sources of liquidity. The investment was anticipated in Enbridge's long term capital expenditure plan and no incremental equity funding will be required beyond amounts previously identified. Located 35 km southwest of Dawson Creek, B.C., the Tupper Main and Tupper West plants are adjacent to Enbridge's existing Sexsmith gathering system and close to the Alliance pipeline, which is 50% owned by Enbridge Income Fund. Tupper Main was placed into service in late 2008 and has a licensed capacity of 110 million ft3/d. Tupper West went into service in early 2011 and has a licensed capacity of 210 million ft3/d. 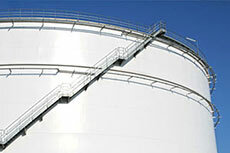 The assets include approximately 53 km of high pressure pipelines. The transaction is subject to regulatory review and approval.